The mini golf obstacles used on our portable crazy golf course have been recently awarded a recognised quality label in Germany. The quality label is the result of years of research and practical experience in the basic issues of physical activity in children. 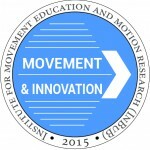 The research wa s carried out by The University in Würzburg and the mini golf obstacle range passed the high standards associated with the sign of Movement and Innovation. The obstacles were granted this label of quality they passed rigorous tests and are seen to be beneficial to the active and physical development of children of all ages. Both big and little kids in our experience! My Mini Golf is based on a play anywhere game of minigolf. 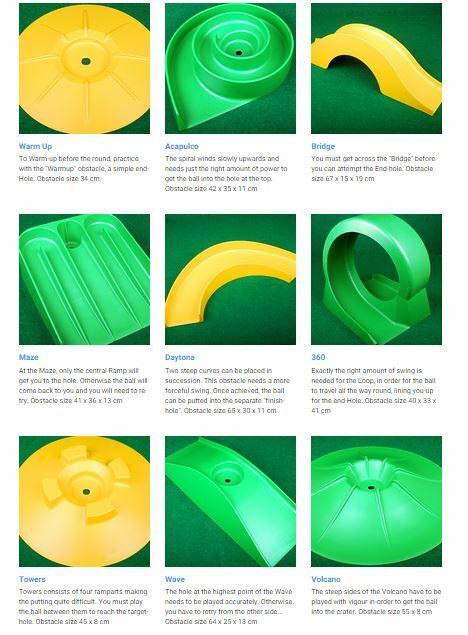 The complete My Mini Golf set offers a range of challenging obstacle pieces that can be used, with or without our modular mini golf courses. Now available as an ‘Extras‘ set – the four most popular pieces in the set – Loop the Loop 360, Bridge, Daytona and Warm Up. The main feature of these is they can be used on existing courses where the holes are built into the course or putting green. Take My Mini Golf with you to the park, to visit friends or just have in the garage to play 9 holes in the garden whenever you fancy. Whether it is standard mini golf accessories, joke golf balls, Keep Calm accessories, training aids, putting cups, head covers and much more. We also have our 9 hole Pro Course for purchase if you really want your own course to play or to use in the event market. We have golf gifts to suit all levels of golfer ready to fill up their stockings! Our sports novelty balls are a nice stocking filler and in our eBay store you can choose from football, pool, tennis and basketball or a sports gift set of 6 balls. 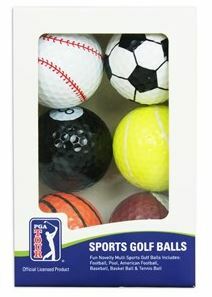 Why not treat your golfer to some balls in their stocking – must be better than a satsuma?! Or if you have a particular relative that loves crazy golf all year round then our My MiniGolf obstacle set is great to keep stored away when not required and played whenever you want. 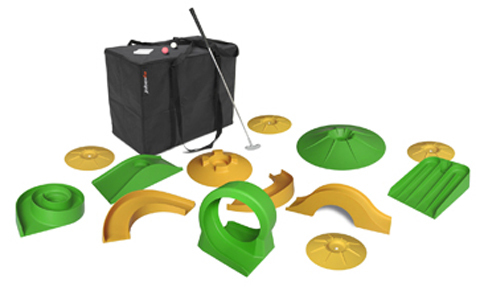 The set fits neatly into its canvas bag and contains 13 obstacle pieces that are bound to challenge even the nuttiest putter! 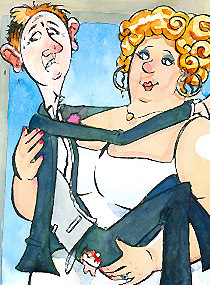 Orders can be placed up to Monday 22nd December before 12pm for next day delivery. Don’t be late and have a fabulous Christmas……ho ho ho! Transform your venue or party when you hire crazy golf, 9 holes can be set up in less than 30 minutes and give a real impact to your event. Whether you dare to tackle the curves of ‘volcano’, or prefer the twists and turns of ‘acapulco’, there is plenty to challenge any age or level of golfer when you hire our crazy golf course. Our portable crazy golf hire transports easily via courier to your chosen venue so that you can enjoy for as long as you like…….a one day event, a weekend hire or long term if you require. Just unpack, play and re pack on the allocated collection day – simples! With what other crazy golf course could you create such a large playing surface? No static 8ft greens that restrict your play to a simple straight putt. 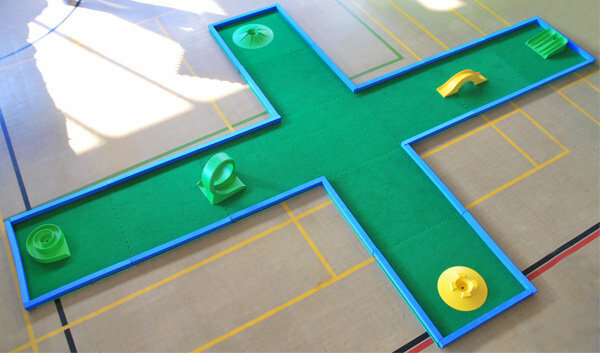 Let you mind wander wiht the interlocking tiles and create a wild and wacky set of crazy golf holes. 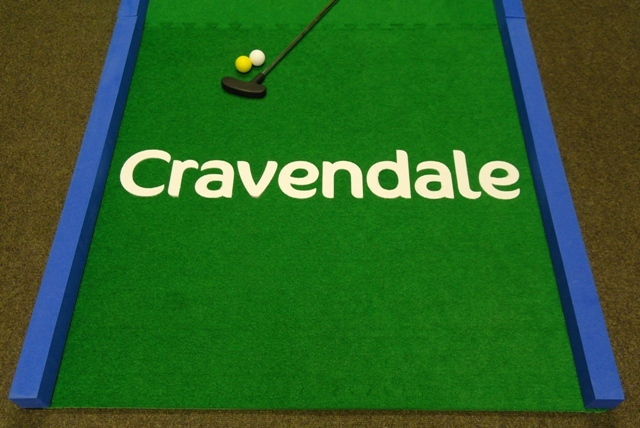 Go crazy for some crazy golf at your next corporate event! We can brand our course to complement your sales message and give you more presence at your marketing event or exhibition. We are a friendly bunch so please drop us a line if you have any questions about hiring our crazy golf courses for your event. BMW car parts as Crazy Golf Obstacles! 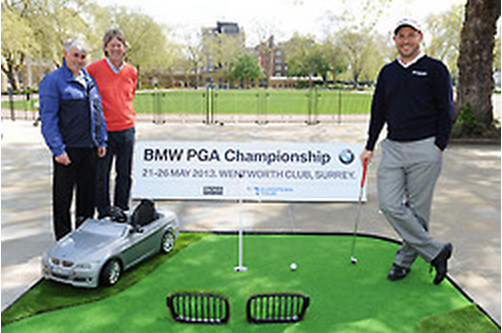 Using car parts as crazy golf obstacles was part of the BMW PGA Championship’s Performance Putting Challenge in central London at the start of the month. 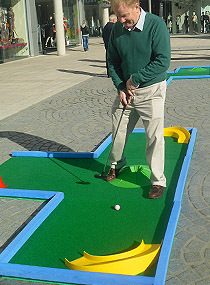 The Challenge – a three-hole mini golf course using BMW car parts as hazards and crazy golf obstacles – was situated in Duke of York Square on the King’s Road from May 10-12. “This initiative is all about taking golf and the BMW PGA to new audiences. The three-hole course is great fun to play and I’ve seen all sorts of people getting involved; young, old, families, experiences golfers, even complete novices who’ve never picked up a golf club before. It’s been a great event,” said Howell. We had our own crazy golf course used at a car showroom in Jersey – Putting the crazy into golf at the launch of new VW Golf using My Mini Golf obstacles, which not quite the same as having internal car parts as the obstacles to avoid on the green, but definitely adding fun to the challenge of the course. In comparison, ‘My MiniGolf’ is the first crossover “play anywhere” golf game. You place the obstacles randomly on the ground and the game is ready to play. 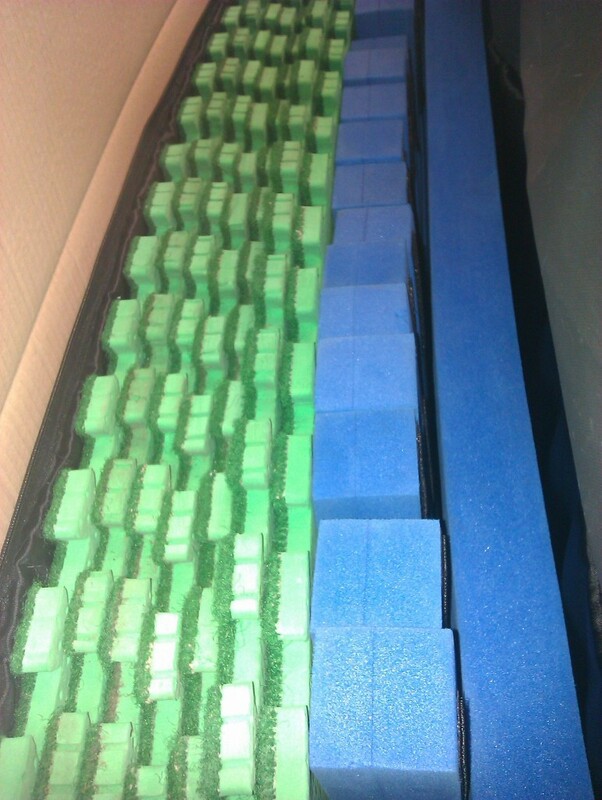 My MiniGolf is suitable for almost every level surface, like grass, tarmac, carpet or parquet floors. The challenge varies with the playing-surface. Scoring is just like any other game. 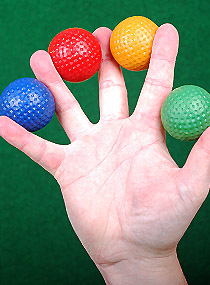 The My Mini Golf obstacle set accompanies our crazy golf course offering a challenge for any ability of golfer. 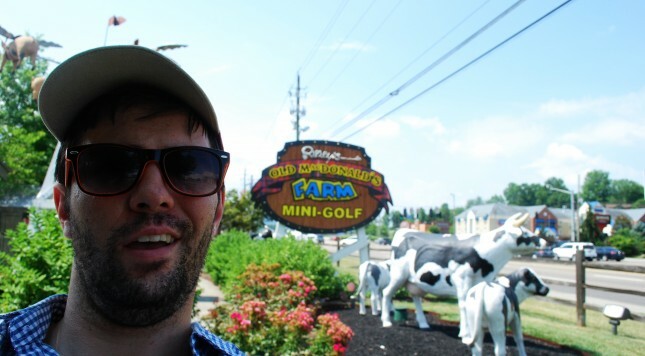 You can buy My Mini Golf here in our online mini golf shop. 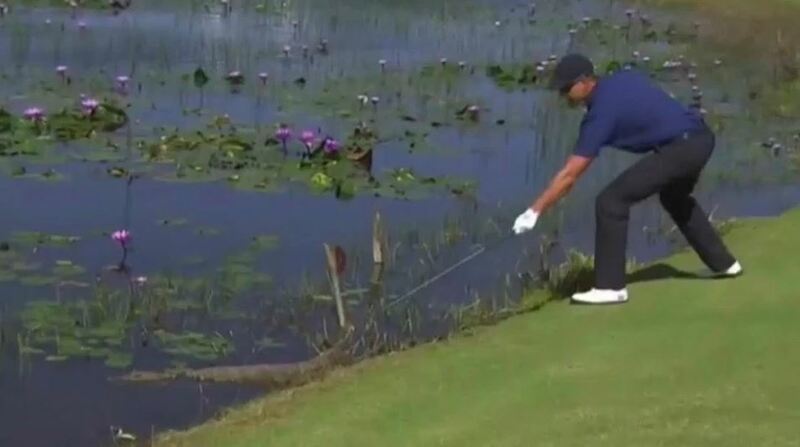 What is the craziest thing you have seen as an obstacle on a crazy golf course?